Thousands of Family Law Cases Handled Over Nearly Two Decades. Someone you can trust and will help you in your time of need. Steven was different. He cared. He was so comforting. I could always reach him – nights, weekends – whenever I needed him. And he was such a great fighter for me. He made such a huge difference in my life. Steven Gildin didn’t just care about the case, he genuinely cared about me . . . he counseled me, provided guidance and made the transition much easier for me and my family. We’ve successfully handled over 2,000 divorce cases, and understand that the decision to put an end to a marriage is never an easy one, particularly when custody of minor children is involved. Perhaps the hardest aspect of going through a divorce is – what will become of the children? Let me reassure you that most of the time, children will not only be fine after a divorce, they will actually be better off than they were before. When facing a separation or divorce, a common thought is, “how much child support am I going to have to pay?” or “how much child support will I receive?” There is an easy, shortcut formula that will quickly get you a close estimate. Spousal support is the payment of an amount of money by the higher earning spouse to the lesser earning spouse for some period of time. It is also referred to as ‘maintenance’ in New York and is commonly known as ‘alimony’. One of the most important aspects of a divorce is splitting up assets, which is also known as ‘equitable distribution’. There are many, many issues that arise within asset distribution. The Family Court System in New York handles certain issues within domestic relations. It is easiest to first state what Family Court does not handle – divorce. If you currently or eventually will need a divorce, then Supreme Court is the only place for you. If you and or your children are facing a dangerous situation at the hands of your spouse, then you must take immediate action. Even if you do not currently have a lawyer, there are options. If you are the physical custodial parent that lives with the children on a regular basis, the having ability to move away with the children is one of the most challenging issues that can arise. Just because you finished your divorce or family court case, does not mean you are really done. Unfortunately, it is common place for one ex-spouse (or even both) to fail to live up to their obligations and responsibilities. A Prenuptial Agreement is a contract that predetermines how certain issues will be resolved if a divorce arises from your marriage. 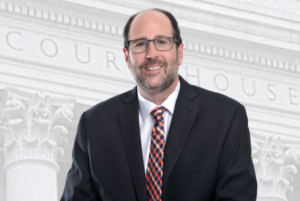 Steven Gildin has been a practicing attorney in New York for over 20 years, during which he has handled a tremendous volume of cases. Although amassing vast experience in nearly all areas of the law, Steven has had a particular emphasis is on Family Law, Divorce Law, Child Custody and Child Support matters. In fact, Steven has aided thousands of people in becoming divorced and defended hundreds of people facing diverse criminal issues. Many of the cases Steven has handled have garnered much media attention on both the National and Local levels. Furthermore, Steven’s divorce and custody cases have been featured on The Today Show, CNN, MSNBC, New Yorker Magazine, New York Times, Post, Daily News, Newsday, New York Law Journal and throughout the New York Television and Radio News. Steven is also an accomplished author, having been published several times in a national magazine on both legal and non-legal matters.